Our little puppy is growing so fast! She did an amazing job on the agility today. Are there treats in that hand? Arrr! I walk the plank for those tasty morsels. Treats? I don’t need silly treats! Even this swinging plank is cake! Woo hoo! Let’s do more! Our new puppy is growing up so fast. She can do nose work like nobody’s business! We have been to two dog obedience classes and have had a lot of fun. Starting over with a brand new puppy is hard work! I have forgotten all of the things that I must do to turn her into a good search dog. Time to review some of my previous posts! Right now we are working on her recall. 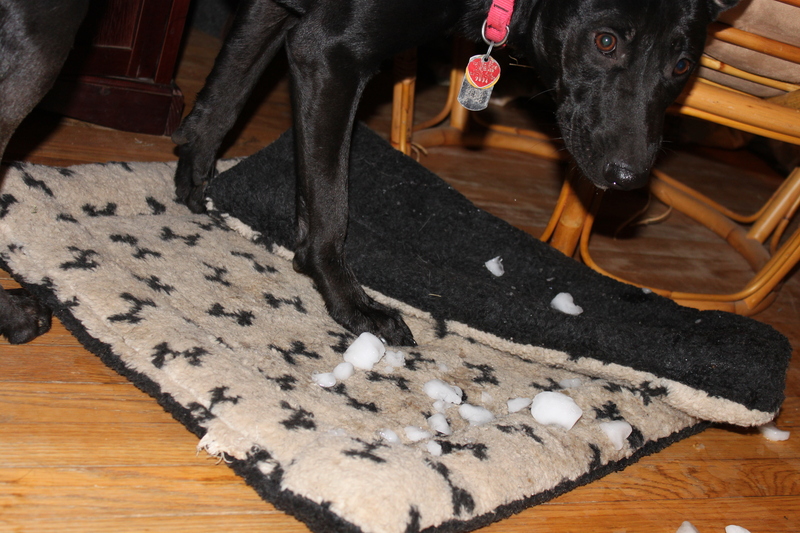 I have fallen into the dog training trap nearly all of us have done at one time. She has a fantastic recall at home. (She looks a lot like the roadrunner from the cartoons,) her feet all a blur when coming when called. Alas, when we are out and about. She can decide a blowing leaf, a blade of grass, or a pile of deer poo far more important than listening to me. It seems like such a pain in the touche to grab the long line, treats, toys, and pile the dog in the car to drive to someplace new for every training session. So, I convince myself I will do it tomorrow and simply train my dog in the living room. BAD dog owner! This is something that will come back and bite me in the touche. It is like going to the gym or for a walk, no one wants to get up and do it, but once there you are glad you did. I timed my last training session outing and it only took 10 minutes all told! That includes the drive to and from the park! If you want a well behaved dog, you need to take little field trips. Now shut up, put those shoes on, and get off that bum! The recall is very important to Search and Rescue dogs because we work air scenting dogs off leash. Forget the idea of the bloodhound dragging the handler around the woods. Those are how tracking/trailing dogs work. My dog can choose to chase deer, roll in poo, play with another dog, splash around in the stream, or work. He can play keep away and chase me games if he wants. Grom, my operational search dog choses to work instead. He will even come back to a call or whistle blow while in hot persuit of a herd of deer! How did I get such a wonderful recall? Practice. Practice at home with no distractions. Then practice in many other places without distractions. Then add distractions working closer to the distractions and then working around more difficult distractions. Best I get started then. What a beautiful day it was at training. The weatherman assured us it would be warm and sunny in the afternoon, but it turned out to be foggy all day. Spooky and gorgeous. We started off with some obedience practice with all of the dogs. I think Grom did a bang up job on his recall and his down stay. I do have to admit that our heeling is abysmal. No worries, I taught him to walk on the right side so now I can teach him a proper heel on the LEFT side using only shaping techniques. Yay, a fun project! Molniya, our new puppy is learning what search and rescue is all about. She absolutely loves everyone and everything. She also gets (squirrel!) distracted very easily and has yet to figure out what she is supposed to do when she is taken out of the car. I love puppies they are so CUTE! Our little girl is one quick study. This is her second time out of the car at training today and she quickly gets in to the barking for her toy. I think she is well on her way to getting the hang of this thing! Good girl. Here she is a few days before. She spent probably five minutes sniffing around before she decided to get her brain in gear. She finally gave me a nice bark and got some very nice play. Then, a man started throwing a ball for his off leash dog in the park. WHOA! puppy brain distraction major event! I needed to end on a good note with her attention on barking for the toy, not for the awesome free dog with the ball running around. So, I moved her to the other side of my car where she could not see the other dog and tried again. SCORE! What a good girl. We received Molniya’s vest in the mail today. It fits her perfectly. 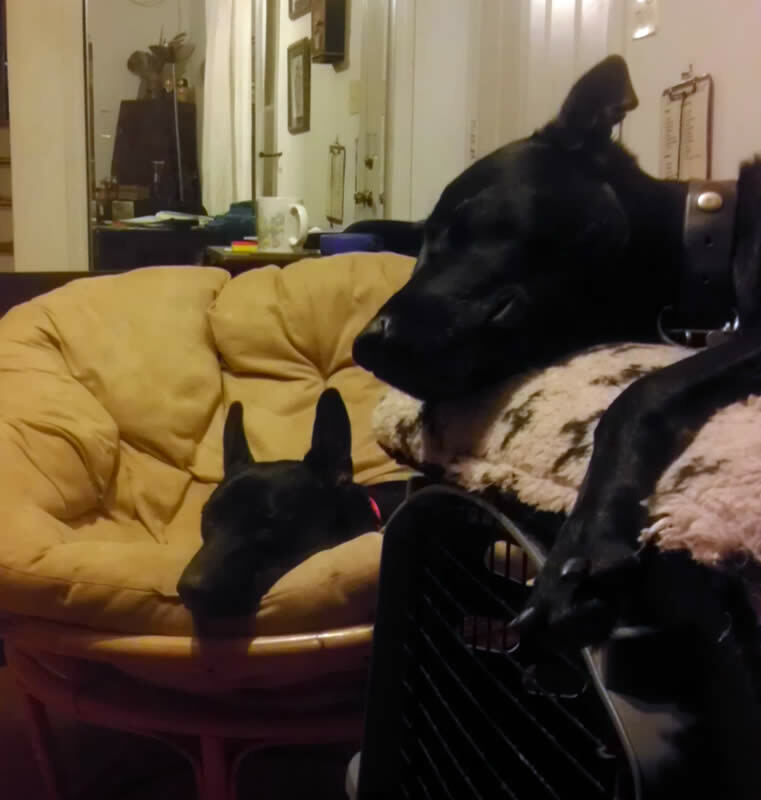 Nothing looks better on a black dog. At least her “brother,” Grom, thinks so. She is fitting in so well. The best part is she loves to bark! What sort of dog owner wants their dog to bark? These people must be crazy! We are teaching her to bark on command for her favorite toy. Barking is what she will use to tell us she has found a missing person. She will then get her toy reward for a job well done. She fits in so well around here. Molniya loves playing with her big brother, Grom. She also loves chasing balls in the backyard. She loves bubbles most of all; she will do anything for them! Someone does need to tell her to stop trying to eat the stink bugs. EW! 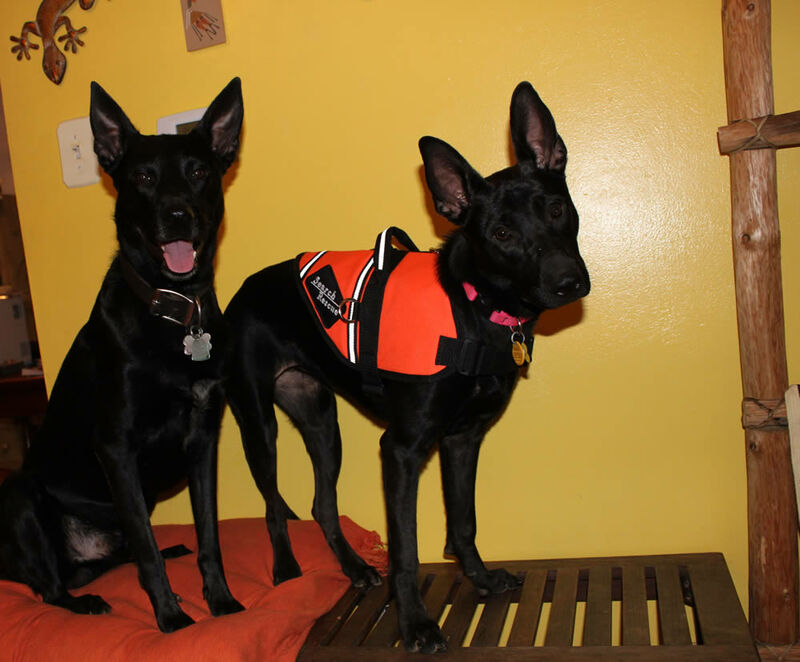 You have done the research, found the right puppy for Search and Rescue, and brought her home. Now what? Follow these ten tips to ensure your search dog fulfills his whole potential. It happens, search dogs can get hurt. Hop in your car with you new partner and head to the vet. Familiarize your puppy and yourself on vet examination procedures. Find out how to take your puppy’s pulse, test his capillary reflex, learn the normal color of his gums, and take his temperature. Learn how to field check your dog by inspecting his entire body starting with the paws, working along his body to his head, eyes, ears, and mouth. Be sure to ask your vet about possible breed specific issues you need to watch for. Consider buying pet health insurance and getting your pup miro-chipped. Finally, ask your vet to demonstrate how to properly brush your dog’s teeth, clip his nails, and clean his ears. Finally, practice with strangers. Take several trips to the vet and see if you can recruit a vet tech or vet to help you practice. You feed the treats, they perform the mini-exams. Can you imagine a dog that LOVES going to the vet? Take your puppy places to meet as many new people as possible. Some great locations are pet stores, outdoor malls, cafes, or even in front of the WallMart. Protect your puppy! Your dog’s mental health and safety is your responsibility. Teach others to approach and pet your dog the right way. No one may touch your dog unless they ask first. Give the person a treat then have the person crouch down facing sideways. If your dog approaches them, they may give him a treat and scratch his chin or chest. If your dog does not approach someone, that’s ok, it is his choice, don’t force him to say hi. Do not let anyone pet your dog without asking first. Do not hesitate to put yourself between your dog and another person and sternly say, “STOP!” Never let anyone lean over the top of your dog or pat him on the head. If someone is not following your instructions, get them to stop by telling them your dog will pee on them. It works every time! I have found a “service dog in training” vest causes people to ask first before petting and generally be more respectful of my instructions. Be VERY wary of children, they can go from petting to smacking a dog in the face in an instant! Keep socializing your dog as he grows. Crates are used as a safe refuge for your dog, great for potty training, a safe way to secure your dog in the car, and important for keeping your high drive working dog’s energy ready for a real search. For me, it is the only barrier between my dog’s teeth and my brand new running shoes! Training your new puppy to adore his crate is easier than you might think. Feed him exclusively in his crate, put treats, chew toys, or a peanut butter filled kong in his crate. Start slow. Leave the door open to begin with. Next close door for only seconds moments at a time. Then increase the amount of time the door is closed. If he starts to whine or cry keep the door closed and ignore him. Even if she cries for an hour straight. I know, it’s hard! The moment she is silent open the door. I now have a dog that immediately goes into his crate on command and makes not a peep. This is my secret to a well behaved dog around the ultimate distraction, other dogs! The purpose of this class is not obedience, however. You are simply using this class to teach your dog to pay attention to you when other dogs are around. Chose an APDT (positive or clicker training) certified training facility only for this. Corrective training and equipment should be avoided. Do not let your dog play with other puppies in this class, it will only teach your puppy that it is rewarding to ignore you and fun to play with other puppies. YOU need to be the most fun in your working dog’s life, you cannot compete with a dog’s own kind. Dog parks are no, no’s for a working dog. I was lucky with my dogs. To teach my puppy proper doggie language and manners, I let him play with my geriatric German Shepherd. She taught him how to have a soft mouth and how to act politely around other dogs. Because of her age, she would tire out after only a few minutes of play helping me to trick him into thinking people are far more fun than dogs. What a great excuse to adopt a well adjusted dog friendly dog from the animal shelter. 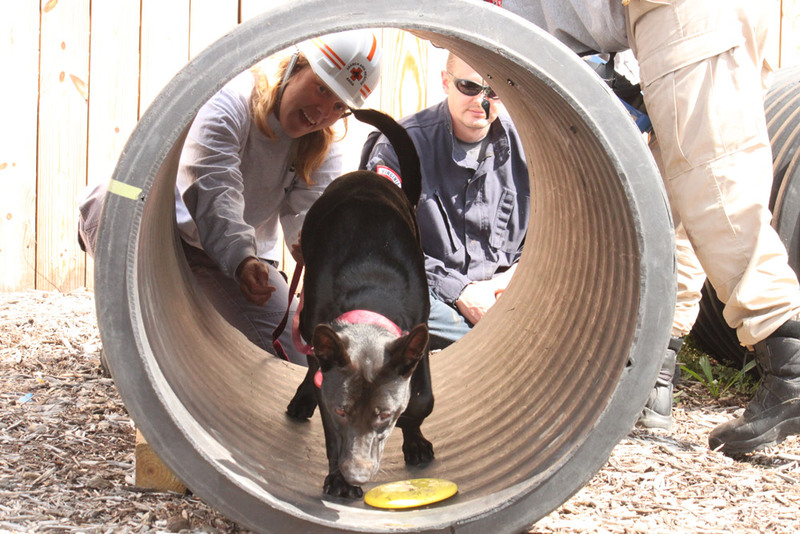 Your Search and Rescue dog is an athlete. Good nutrition is even more important for him than the average pet. Big pet stores, grocery stores, and big box stores are a great place to buy pet gear, but rarely sells quality food. Learn to read and understand pet food labels, and chose a high quality fuel for your canine’s body. Rescue dogs are able to climb open stairs, cross ravines along a fallen tree, scramble up shifting piles of rubble, and crawl through brambles and tunnels. Teach your dog to be brave early. Use treats to encourage him to experience as many different surfaces including slippery floors, fencing laid on the ground, tires, a big wobbly board, gravel, mud, ice, and metal sheeting. Let him explore open stairs, catwalks, swinging bridges, tunnels, ramps, places with loud noises, confined spaces, near farm animals, and strange equipment. 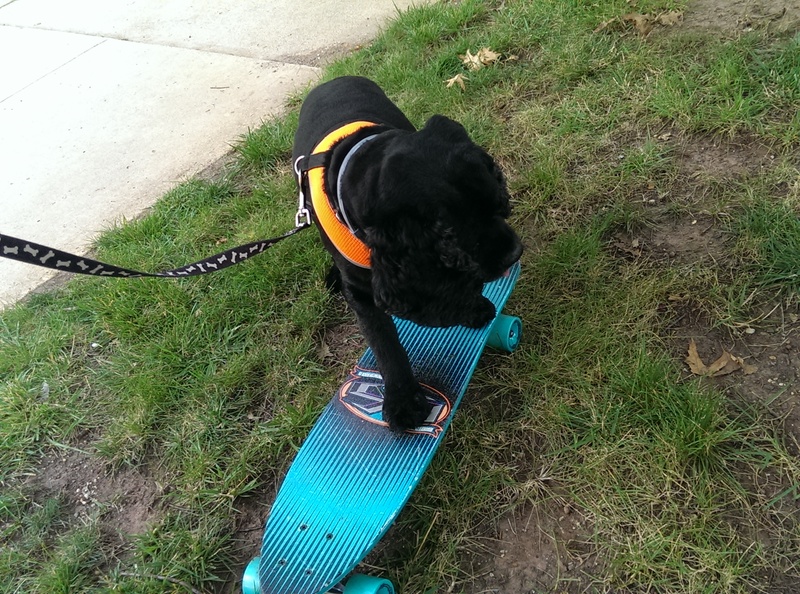 Always let your dog to go at his own pace, never put him on something or force him near, into or across anything. If your pup looks like he is ready to jump off of a piece of equipment, lift him off and put him on the ground yourself. Do not let him make the decision to bail on his own. Always have a spotter with you if your puppy is up on something off of the ground. Treat, treat, treat your dog and he will thing strange things = treat = happy. Schedule feeding time, potty time, exercise, training, and socialization for your puppy. This will train his body, his mind, and your mindto the schedule and saving you lots of frustration in the future. Once grown, your dog will eat and go potty like clockwork. Predictability, It’s a life saver! The world is full of a wealth of knowledge. Use it to your advantage. Not everyone has the same answer to a problem. Dog breeds are all very different from one another. 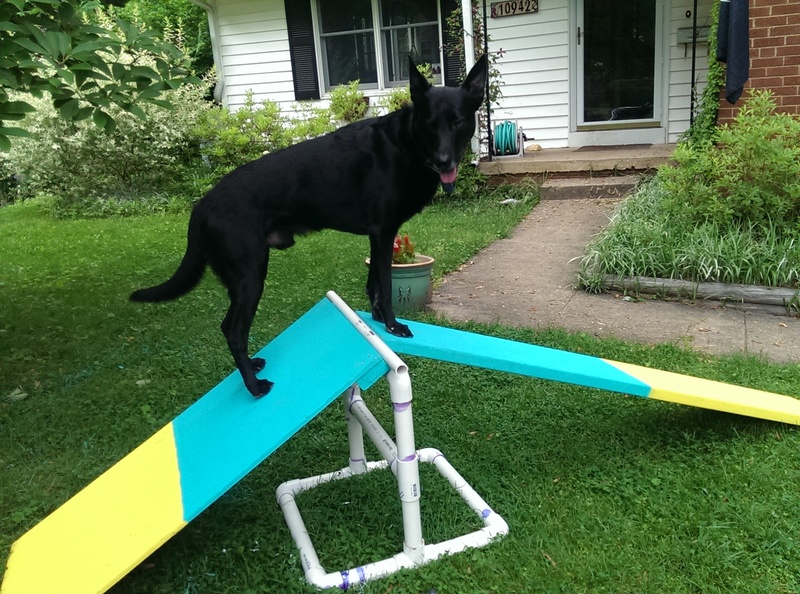 A border collie handler will have a different solution for the same problem than a lab person. Other SAR groups will have different ideas as well. Find a mentor with more experience than you to help guide your success, ideally one who has trained with the same breed of dog as yours and can meet with you and watch you train on a regular basis. Have them help you sift through solutions others have given you. 9. Give Me That Toy! My dog Grom loves to search. It is his favorite thing the whole world. He loves running through the woods, jumping in the mud, and sailing over fallen trees, but he works for his toy. Dogs work for a reward THIS is what SAR dogs are bred for, use it or lose it. A high drive dog can become a floor mat and useless to SAR without it. Can increase drive with aggitation up to 18 months. Earlier the better. Favorite toy ONLY for sar. Never ever ever ever gets to even SEE it unless for SAR. Use in drive work. 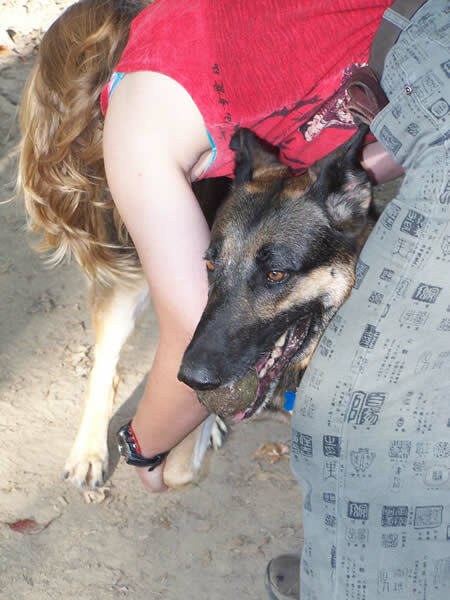 Learn to increase drive with someone who does Schutzhund or SAR with your particular dog breed. Search and Rescue is simply a really long game of hide and seek. Teach puppies to use their nose early. Hide their food so they have to use nose to find it. Tease your puppy with a fun toy then hide it somewhere. Sneak away when your dog is not looking and find a nice hiding spot for yourself. Then call your puppy’s name and throw a party when he finds you. 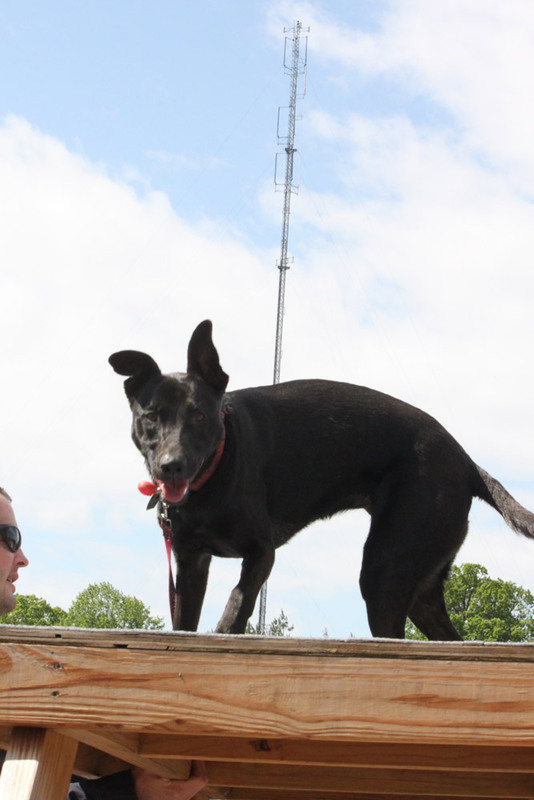 Search and Rescue can be a wonderful and rewarding job for a dog. It is a challenge for both his physical body and his mind. Most of all, it is lots of fun. How come most of the search dogs I see are of certain breeds? Breeds found to work well for search and rescue typically come from sporting and herding groups. 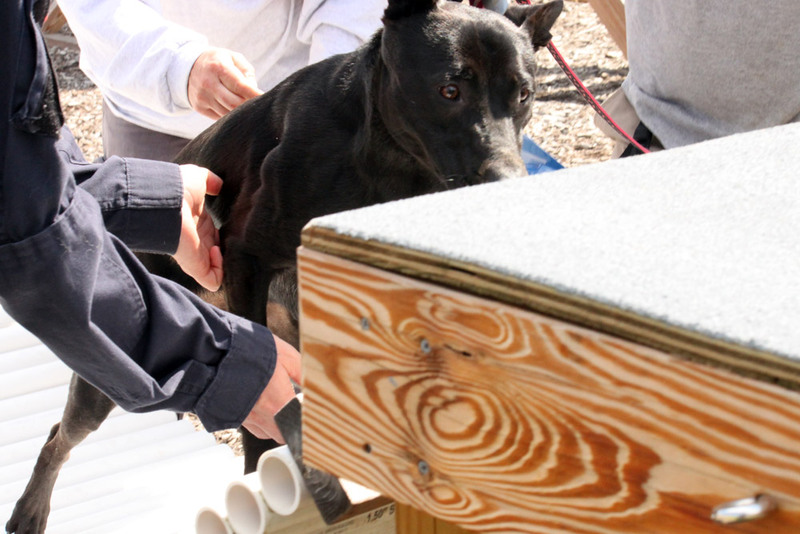 An air scenting wilderness search and rescue dog is an elite athlete. He will need a body adapted to running in both the heat and cold for very long periods of time. He must also be able to expertly climb up, under, and across obstacles fearlessly. 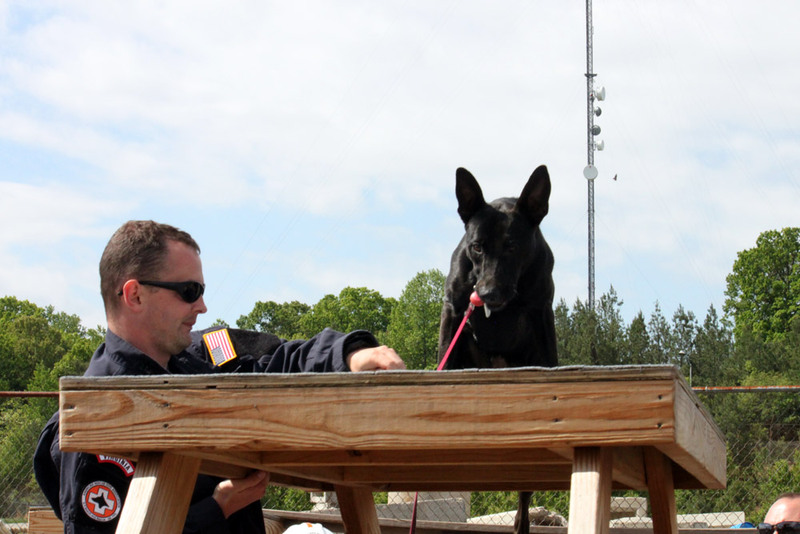 The canine must also respond to commands as well as have high intelligence and problem solving skills. German shepherds, American Labrador Retrievers, golden retrievers, bloodhounds, border collies, and Belgian Malinois. I have seen mixed breeds, huskies, poodles, Australian shepherds, cattle dogs, and springer spaniels successfully certify as well. While rescuing a dog from the animal shelter is a good and noble thing. It is also a commitment for the life of that dog. If the rescued dog does not work out for Search and Rescue, will you be willing to keep that dog? Often the true personality of the dog may not reveal itself until many months after he has lived with you. Hidden medical conditions or behavioral problems caused by its breeding or past circumstances might arise that could end his working career, leaving you with a dog that needs a job and training. 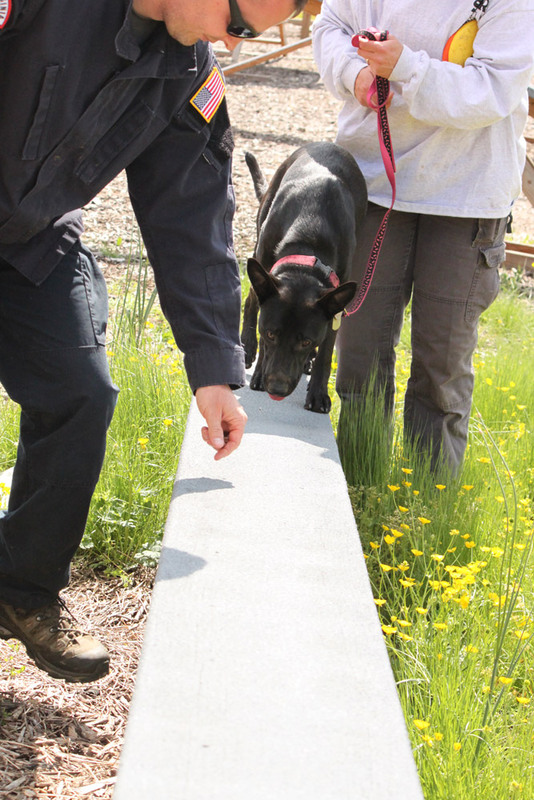 Despite the risk, Shelters can often be a great place to find a good search dog. Dogs with too much energy tend to develop behavior problems such as barking, destruction, chewing, and digging if they are not kept busy. Most of the dogs surrendered are due to behavioral problems. 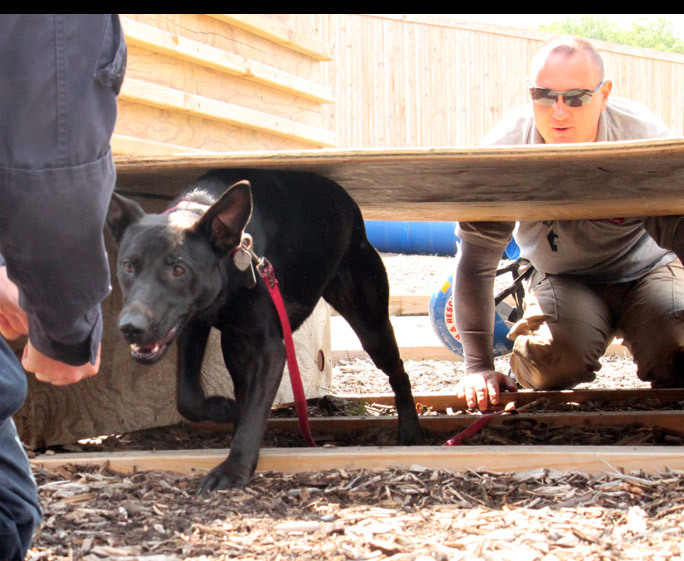 If you are willing to brave the risks and can bring an expert along to help evaluate the dogs, go for it! Say NO to pet stores. Sadly, this is where many puppy mill dogs are sold. Puppy mills also have been caught selling their dogs by having people sell them out of their homes, posing as the original breeder and advertising in the newspaper. If you buy a dog that may have come from a puppy mill, you are not saving a dog, you are contributing to their bad business. If you do visit a breeder, ask for references, veterinary records, hip X-rays (for breeds prone to hip displaysia), and to meet the dam and sire if possible. A note on papers from the AKC and other show dog organizations: While it is nice the paperwork proves the genetic line of a dog, it cannot prove the health, temperament, intelligence, working ability, or living conditions of the dog. Show dogs are bred for looks, not working ability. So, a dog from champion show lines does not in any way mean it will be a good working dog, too often the opposite tends to be true. The traits desirable in a working dog may be unintentionally bred out of the dog for looks instead. Ok, so what am I supposed to look for? Your best bet is to find a breeder who breeds dogs from working lines. 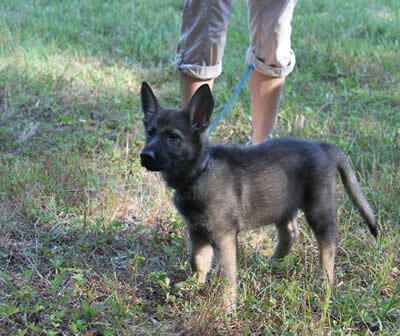 Look for a puppy with one or both of the parents is used for search and rescue, herding, bird dog, bomb or narcotics detection, schutzhund, agility, police, or military work. Your best bet is to meet with and talk to search and rescue groups in your area about the origins of their dogs. 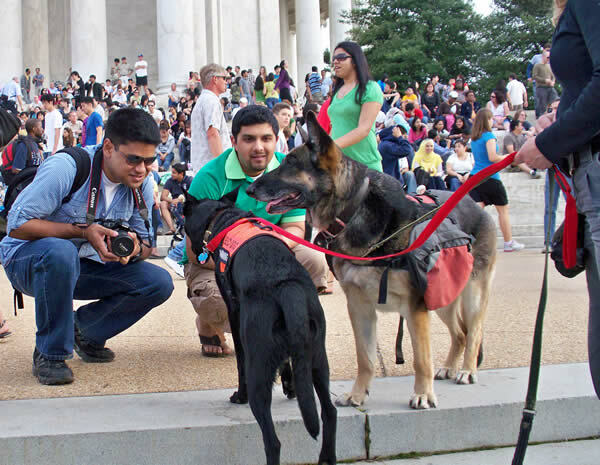 Meet with many breeders and dog handlers to get a feel for the different dogs out there. Training and living with a collie is a different experience than that of a lab and again different from a german shepherd. The personality of the dog is also important. Individual dogs have their own personality within a litter. A good search dog is very curious, independent, playful with human strangers, confident, sociable, able to maintain concentration, and obedient. 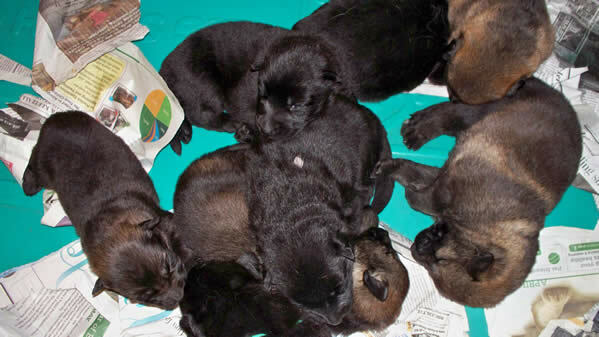 A few puppy tests can be performed when observing the litter. 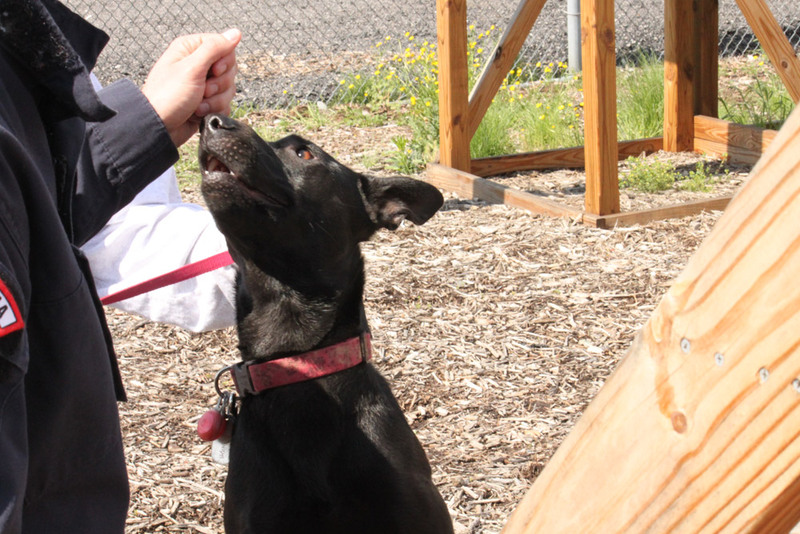 A good search dog candidate will want to greet you when you approach, not shy in the corner. 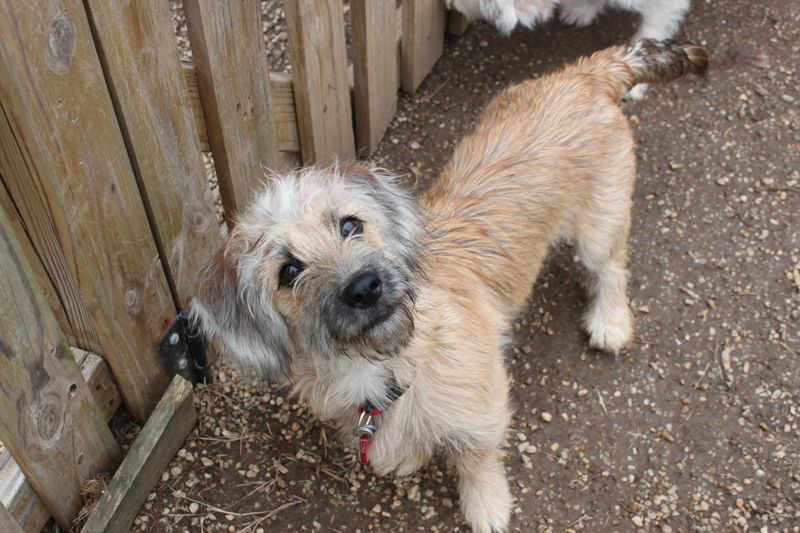 When separated from his litter mates, you will want a puppy curious with his surroundings. He should also love to play with humans. You can roll a ball past the puppy to see if he chases it or wave a rag around to see if he will chase it or play tug with you. Ask a search and rescue dog handler with experience in your breed of choice to help you pick out a puppy from a litter. No matter what breed you decide to get or where it is from You will need a knowledgeable working dog handler to help you pick a dog with high drive. Drive is the instincts that make dogs act the way they do. 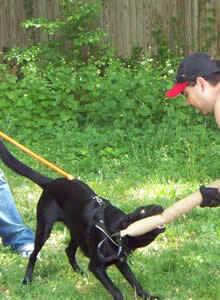 Prey drive is the eagerness to chase and catch and object or play tug of war. Food drive is the willingness to offer behavior in exchange for food. A good working dog needs a drive high enough to work for hours without reward and the focus to ignore tempting distractions while working. 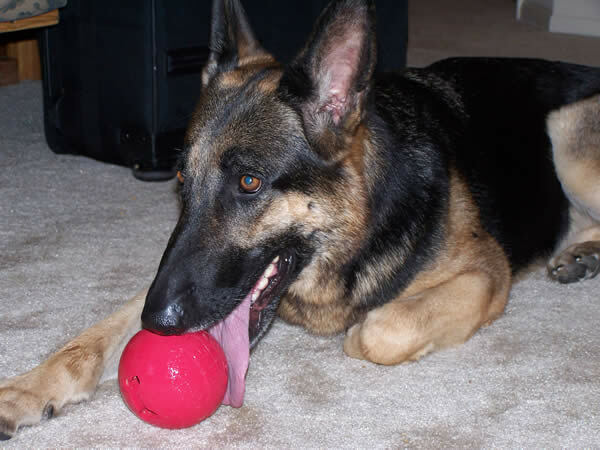 The genetics of the dog determines the potential amount of drive the dog can manifest. Drive must be built with careful training before the dog matures. It’s a use it or lose it deal when they are young. 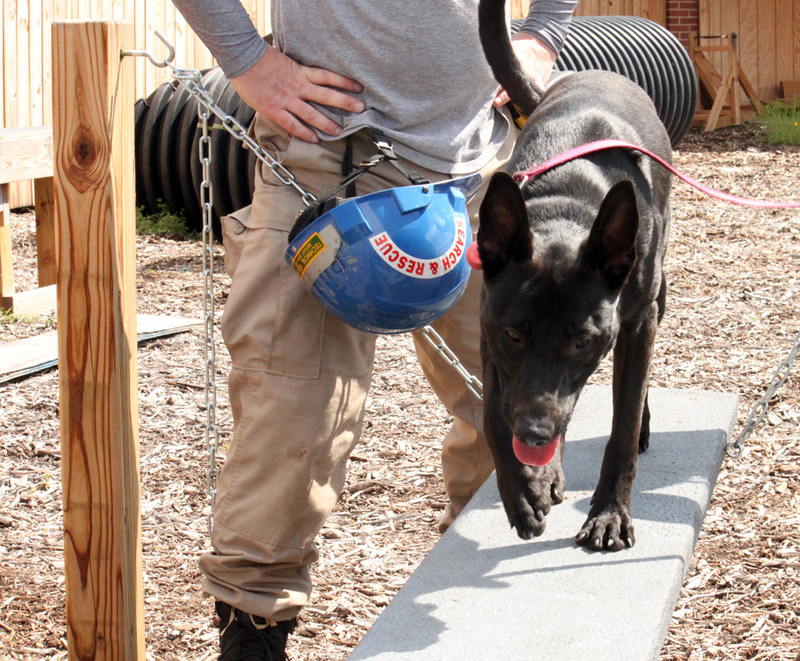 Consider, it takes two to three years to train and certify a dog for search and rescue. Most dogs retire at the age of ten years. If your dog frequently gets to play with other dogs at home or at the dog park he will likely not be interested in working for you. 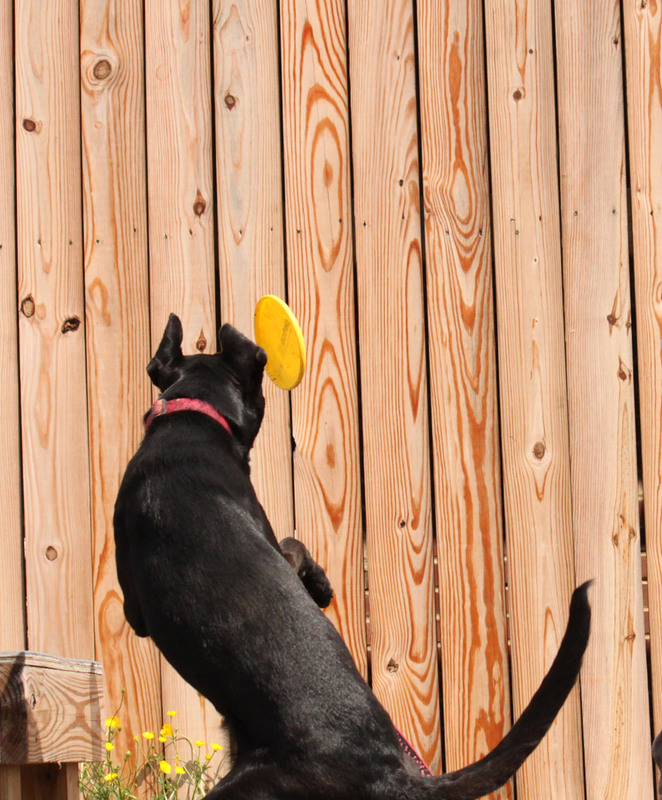 Dogs consider other dogs more fun to play with than humans. Also, if your dog gets to play with your kids or other folks when ever he wants, he will unlikely be interested in working. He is already getting everything he wants for free. 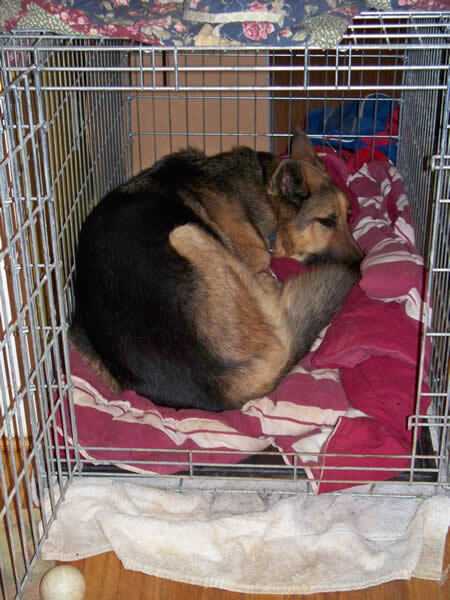 Will you have the ability to arrange a quiet place for your dog to rest during the day without interruption? Will you be able to train your dog every day? Are you ready for something that will likely replace all of your other hobbies? If the answers are yes, then welcome to the search and rescue world! Join a search and rescue team to get started in rewarding world of k9 search and rescue. A search dog does his job because he gets rewarded. 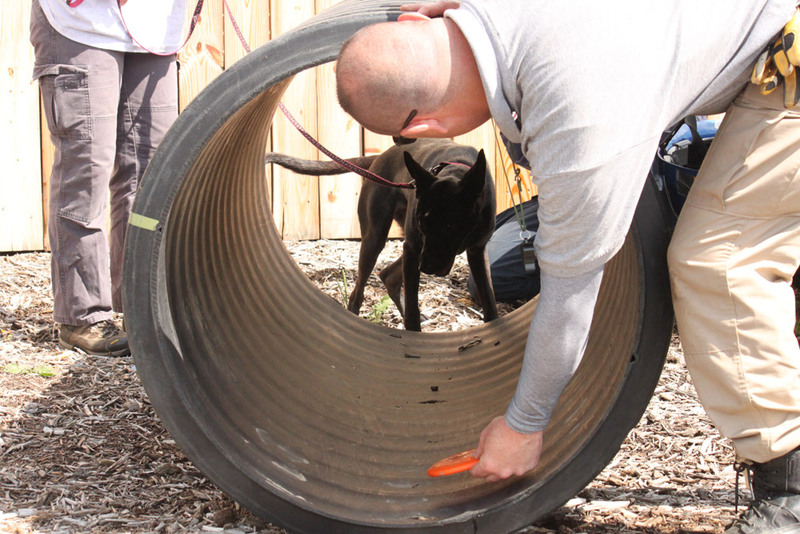 Searching is the best game your search and rescue dog will know. Oh, and its fun for humans too. Contact your local Search and Rescue group to help you get started.